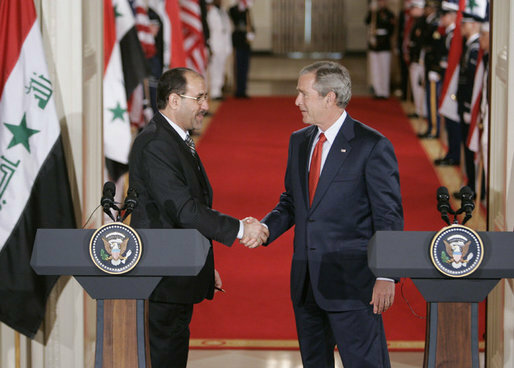 The past decade has seen great change throughout the Arab world, and the United States has played a large role throughout. From 9/11, to the wars in Aghanistan and Iraq, to the political upheaval in the Middle East and beyond over the past year, we'll take a look at this recent history and where it leaves us today, four days after the last US troops left Iraq. The past decade has seen great change throughout the Arab world, and the United States has played a large role throughout. From 9/11, to the wars in Aghanistan and Iraq, to the political upheaval in the Middle East and beyond over the past year, we’ll take a look at this recent history and where it leaves us today, four days after the last US troops left Iraq. Our guests are Adil Shamoo, Senior Analyst at Foreign Policy in Focus, Thabit Abdullah, Professor of History at York University in Toronto, Phyllis Bennis, Director of the New Internationalism Project at the Institute for Policy Studies, and Robert Freedman, Professor Emeritus of Political Science at Baltimore Hebrew University.